Experts from Guatemala and Honduras concluded the negotiation process and officially opened the customs union between the two countries. This integration platform will lead to growth in trade and productive value chains and more immediate access to supplies of products from both countries. It is also hoped that it will serve to support companies and increase their productivity, thus helping them improve their competitiveness. 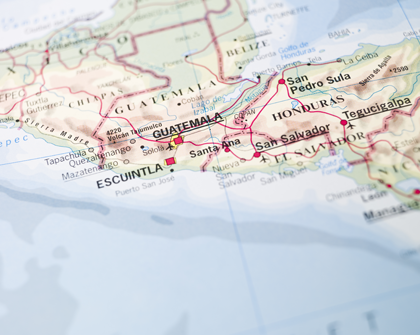 This customs union will make Guatemala and Honduras the first single customs territory in the Americas, and 80% of bilateral trade will enjoy free transit within it. The customs union model will initially operate at three border control posts: El Florido, Agua Caliente-Corinto, and Entre Ríos. Since this process was set in motion in December 2014, 19 rounds of technical work have been held, organized into six areas: customs, sanitary and phytosanitary measures, air transportation, migration, domestic taxation, and free transit. At the close of negotiations, work had been concluded on information technology issues, legal aspects, and readjusting and refurbishing infrastructure, all of which form the first phase of the customs union. In the coming phases, the countries will address regulations such as sanctions and the treatment of trade in services, and other aspects related to sanitary records and safety. Honduras estimates that the customs union will lead to an increase of up to 1.2% in GDP and 2.4% in exports. Another direct benefit will be that current transportation and logistics costs will be reduced by between 21% and 25%.